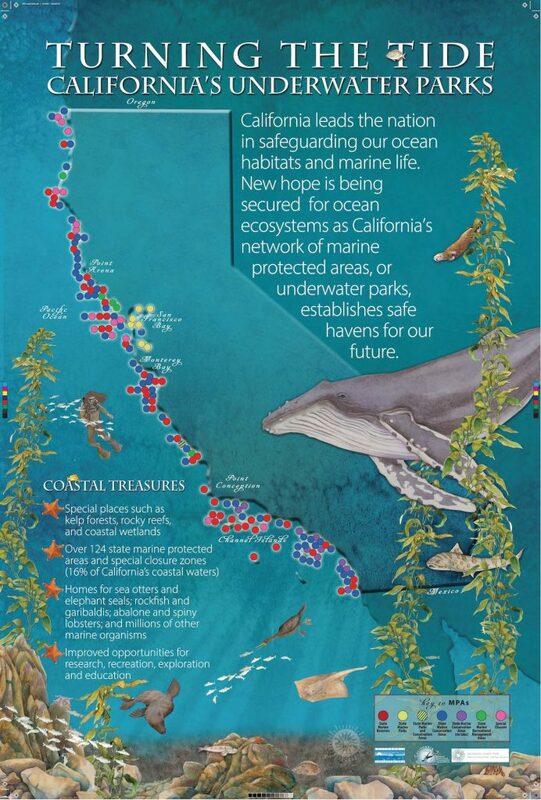 In 2012, California became the first state in the nation to establish a network of marine protected areas (MPAs) – similar to national parks and forests on land – to protect and restore ocean habitats, and increase the health, productivity and resilience of ocean ecosystems. This resulted from 1999’s California Marine Life Protection Act (MLPA) For the implementation phase of the MLPA, California’s 1,100-mile coastline was divided into five regions. In each region, local stakeholders, scientists and policy experts worked together to decide how best to create that area’s MPAs, ultimately creating over 120 underwater refuges along California’s coast from the Oregon border to Mexico. Surfrider Foundation was an integral part of the process throughout.